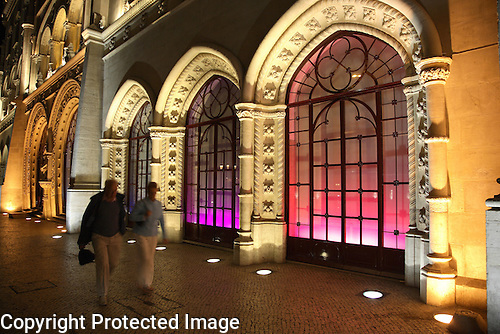 Illuminated at night, Rossio Railway Station in the heart of Lisbon, Portugal. For more images on Aveiro please go to www.photoshelter.com/c/kevingeorge. 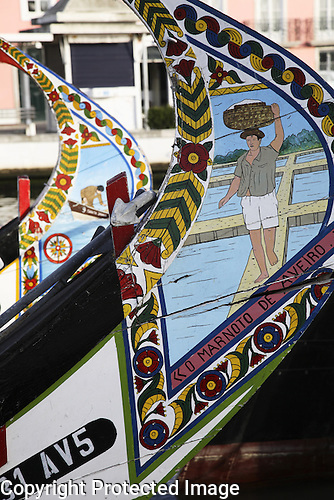 Aveiro is one of the most charming towns on the Beira Litoral. 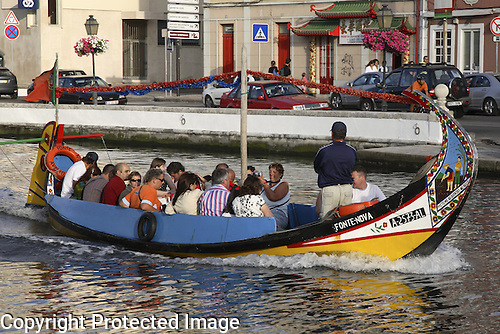 Famed for its collection of canals which are now used by the traditional moliceiros boats to ferry tourists around the local landmarks. 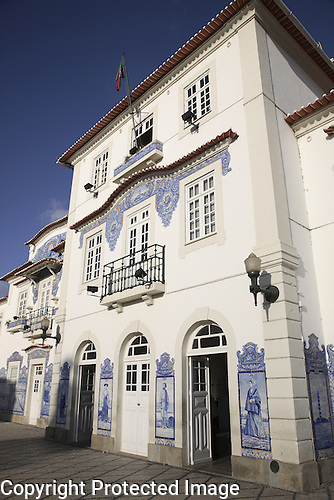 The Railway Station has a wonderful azulejo tile design on the facade of the building depicting the history of the area. Make sure you give yourself time to stroll along the streets, and enjoy a meal on a terrace outside the traditional fish market building which has now been converted. Finally head out to the Costa Nova Beach which, although busy, offers plenty of space to enjoy the Atlantic waves.